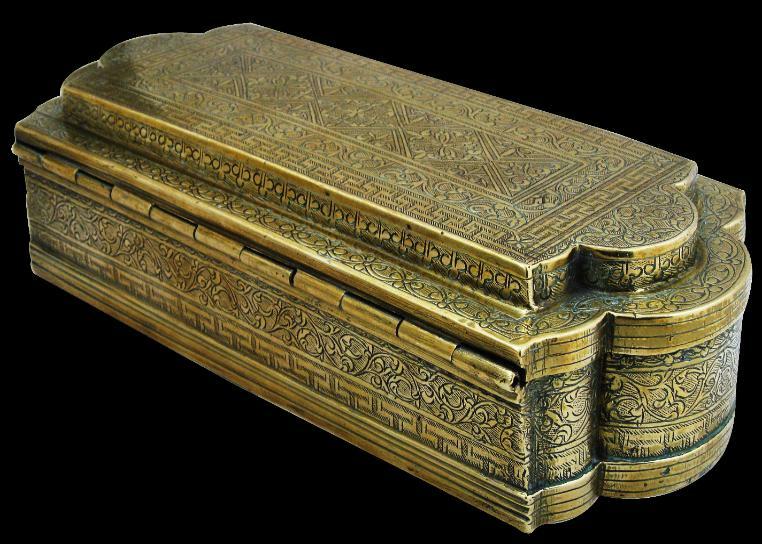 This Malay tobacco or betel box is notable for several reasons: its unusually large size, its elaborate shape, and the fineness and intricacy of its engraving. It is engraved on all sides and on the lid, which is hinged. The engraving follows Islamic precepts and is identifiably Malay – scrolling foliage within geometric shapes and borders and friezes of stylised key-fret motif showing a degree of Chinese influence. 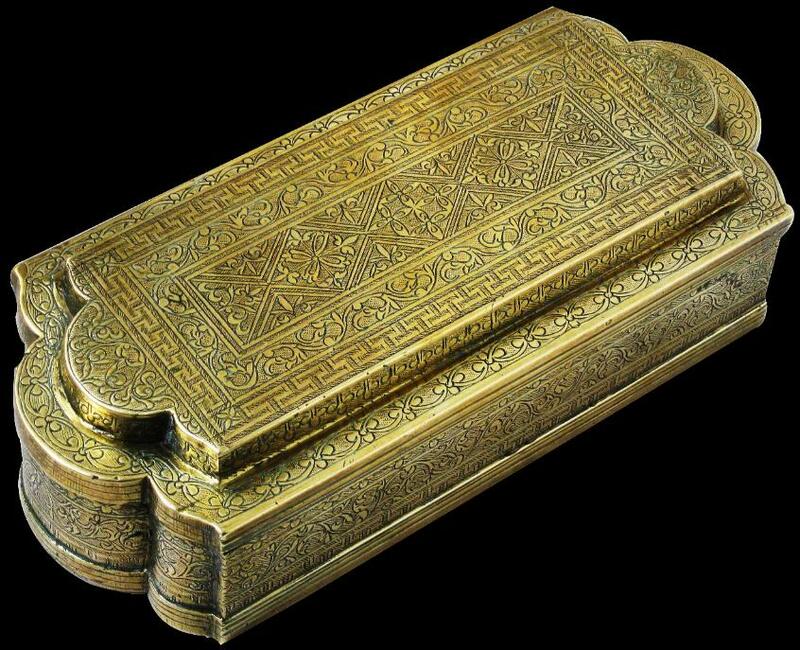 Typically the ends of such boxes are square or rounded but on this box they are elaborated shaped, perhaps to represent an open lotus flower. The box is heavy for its size. It would have been used to hold either tobacco or betel quids that would be offered to visitors to the owner’s household. The interior of the box has a later green felt lining that is in excellent condition. 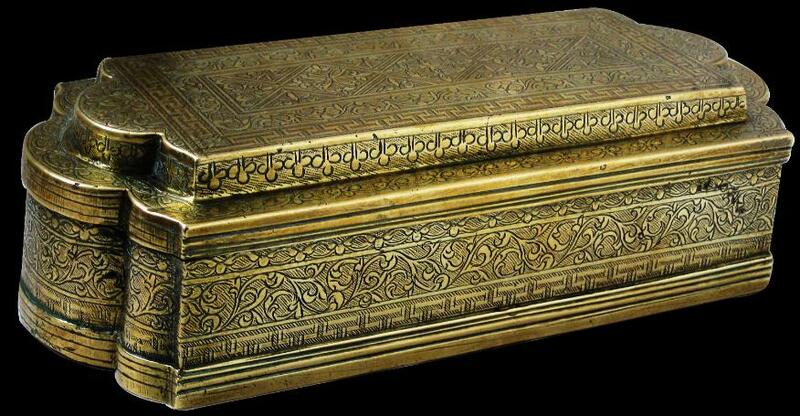 Overall, this is the best Malay tobacco or betel box in brass that we have seen.